Throughout the world today, patients with rare disease, organizations, and their partners, will join together to promote awareness for rare diseases and the millions of people affected by them. 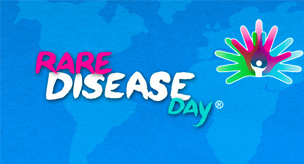 Rare Disease Day was launched by EURORDIS and its Council of National Alliances in 2008. Held on the last day of February each year, it seeks to raise awareness for the impact rare diseases have on the lives of patients and those who care for them. A record 72 countries and regions participated in 2013 and over 80 are expected this year including 27 European Union Member States. There are more than 6,000 different rare diseases affecting over 60 million people across Europe and North America alone and millions more around the globe. Most of these diseases are genetic, serious, chronic and debilitating. While each disease is different, they can affect people in similar ways. At the Center for Individualized Medicine, we are utilizing tools such as next-generation sequencers, and studies in Pharmacogenomics, Microbiome, Bioinformatics, and Clinical Trials to bring research and clinical applications to our patients. Find out more what you can do to join forces with Rare Disease Day here.